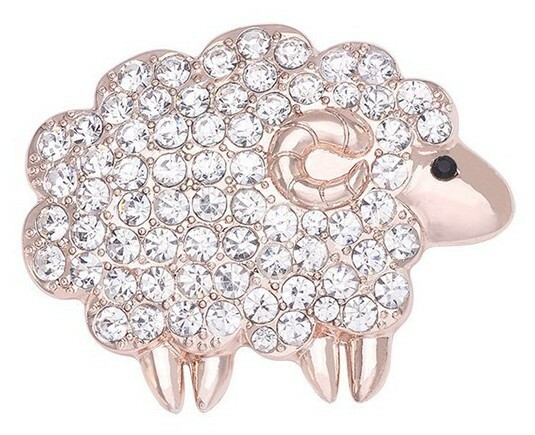 As Rose Gold jewellery takes centre stage, MAJ brings you this delightful little sheep brooch. Designed to bring a smile to the lips of onlookers, this cute little creature is completely covered in dazzling crystal clear rhinestones, so the dazzle factor is impressive and at 4.3cm x 3.2cm it’s the perfect size for lapels, pockets, hats, bags - or wherever. Also available in a gold setting emblazoned with sparkling aurora borealis crystals.